The rapid innovation rate of industrial equipment, coupled with diversity of industrial processes and application areas, has introduced new constraints for management and workers in industrial settings. As a result, it is difficult to present a generic framework for knowledge management (KM) support in industrial environments. 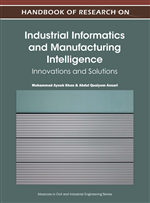 In this contribution, the authors briefly discuss KM in customer based organizations and highlight, in some detail, the factors that make Information Technology (IT) support particularly specific for KM in industrial settings. In order to design IT tools for effective knowledge sharing, there is a need for researchers to go beyond the theoretical frameworks and concepts. This requires a deep look at the knowledge sharing practices embedded in the work settings. It is suggested that there is a need for more empirical work in industrial settings to have a practice based analysis. The chapter also reviews the literature and provides guidelines for future research in the domain of technology support for KM in industrial settings. To share and disseminate contextual information and expert insight - for the benefit of the organization’s customers and partners as well as the organization itself. Information technology (IT) advances have revitalized the importance of KM and technology support for KM in organizational settings has become an emergent area for research. Despite KM being a buzz word, a clear set of practices, required to implement KM, is still ambiguous, this makes technology design for KM quite complex. Wilson (2002) concludes that KM is associated with different organizational tasks which have no relation with management of knowledge. So, it is very important to understand the context and meaning when referring to KM. Mostly, the term ‘industrial setting’ is referred to the manufacturing industry but, in reality, industrial settings are quite diverse. The industries could be classified on the basis of different parameters such as industry type (household, small and medium scale enterprise, heavy, agro based mineral based, consumer, service etc. ), ownership (public, private, cooperative etc.) and investment (small scale, large scale etc.). International standard industrial classification proposed by United Nations categorizes the industries in 21 main categories as shown in Table 1 (UN, 2011). Knowledge: The expert insight, understanding and extended contextual details transform information into knowledge. Information: The embedding of contextual information with data makes it information. Work Practices: The conventional way of carrying out activities to accomplish tasks. Knowledge Management: It is set of practices to generate, codify, store, share and update the knowledge. Explicit Knowledge: The knowledge which can be structured and codified is described as explicit knowledge. Data: The facts about different aspects are termed as data. Tacit Knowledge: Tacit knowledge composed of unstructured building blocks which makes it hard to codify and share.